964's offered for sale these days definitely fall in the camp of 'if it looks too good to be true, it certainly is'... shrinking pool of these cars, and ever rising interest on the part of P-car fans, old and new. 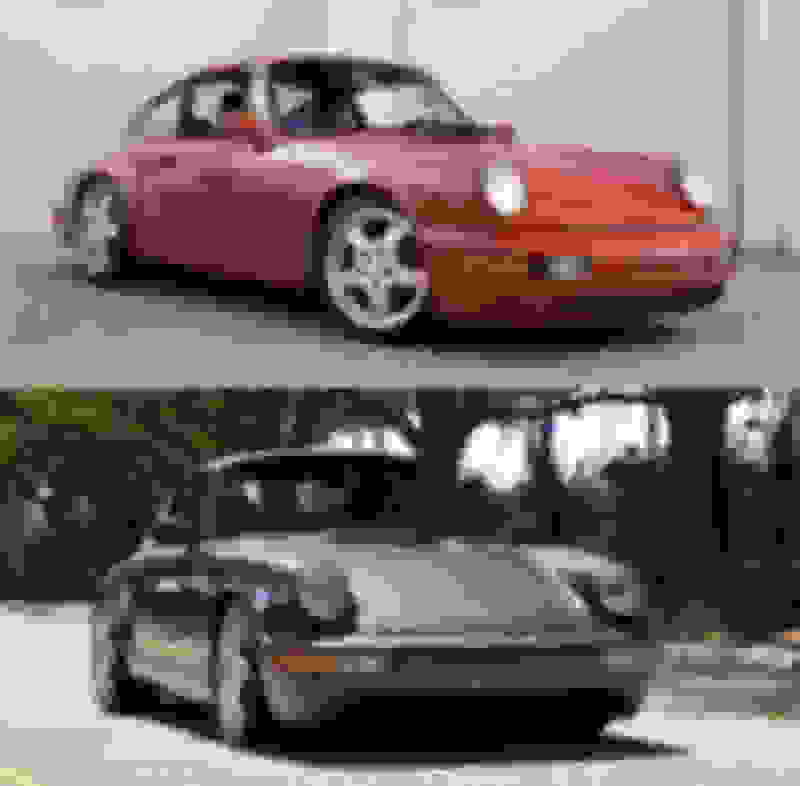 Nice 964's are still available, mostly in vert, and to a lesser degree, c4 coupe form, but even c4's are being snapped up quickly by hobbyists as well as the singer-conversion crowd, if not singer itself for the tubs. Key thing is to find a car that has been fairly and honestly represented, properly and knowledgeably rehabbed, and most likely owned for some time, as opposed to recently bought and quickly flipped. And given the values, hobbyists are right to look at the alternative sports cars and even other-gen 911's that could be bought with the 70-80k that is needed to have a nice, and sorted 964. I do think there might still be some Targa deals out there assuming you’re ok with the looks. Other than the need to rehab the top (assuming it’s not already done) they really don’t detract from the overall experience and if anything they improve it on the nicer days! you just summed up the current 964 market perfectly. Great post. I will add that I think in a few years people are going to be kicking themselves for overlooking what a great value the convertibles are right now. The coupe craze doesn’t seem to be slowing down but a convertible can still be had for a fraction of the price and is still a fantastic car especially in warmer climates as Marine noted above in reference to Targas. Each are 85k asking price.... red is the same one as already posted and bottom is a ‘90 Slate Gray no sunroof ROW C4 with ~20k miles (32k km). Clean cars. GL to the buyers. The slate grey is a Japanese car and no way I believe this is a 32K KM car (20K miles).... Wheels are clearly aftermarket, as also stated by Cobalt, while they are saying in the video they are original Cup 1's..
Why not grab a cab and a hardtop (e.g. D Moris), slap it on and live the coupe life for a fraction of what you’d be into for the real deal? Bonus option to revert, maybe even seasonally. Do I think “damn wish I had a roof over my head” when I’m winding out 2nd gear on a summer day? Take a guess. ^ According to keyboard racers Stock coupe vs stock cab, you might find a tenth difference if you're Walter Rohrl due to the extra weight. Extensively prepared coupe vs cab on race rubber, sure the cab starts feeling squishy. Of course, add rollbars/cages and your back to pretty equal footing. Maybe advantage to the cab. Compare no roof at all and low center of gravity reinforcement panel weight, to coupe steel roof with no reinforcement weight. Anyway, nothing wrong with an aesthetic preference. Not everyone's favorite dessert is the same. Absolutely true! And if you’ve just gotta have a coupe, then by all means, go out and get it. I’m certainly not condemning anyone with that preference. But cabs carry an undeniable connotation of inferiority among the enthusiast community and that’s where I get a little lost and tend to agree with the guys above. A few years down the line when a C2 coupe is commanding an even more insane premium I think a lot of people are going to have a “hmm” moment over the ‘verts. After all, they’ve all got the same engine. Love my cab and the money and time I saved not searching for and buying a coup. it was easy to find a real nice cab at an affordable price. Last edited by Norse_man; 03-24-2019 at 03:42 PM. I haven’t really focused on cabs much but I am curious if most of the 964 cabs have had their tops replaced and or if the tops hold up well and are not in need of replacement? For me that’s always been the part that scares me but maybe its a non issue? It definitely would be a fun addition! Lasting power of the top depends on a few things. It wears more the more it goes up and down. More time in the down position causes more wear. Exposure to the elements. Mine is original but I bought it from my dad and know it's been up 99.9% of the time and the car only has 29k mi. So the only thing time has really impacted is slight fading even though its been stored inside. I just recently treated it with the Porsche convertible top sealer and it did darken it up a bit. I hope to be able to give you a better answer after this summer and I put some miles on it. If anyone insists on looking into a car at RMC, ask them to take the car to Champion to get a PPI. Good chance they will tell you it's too far and suggest their buddies in Miami. Insist they take it to Champion. They know damn well if they bring a POS up there they will get called on it, so you can save yourself a lot of time and money by making a Champion PPI a condition of buying the car. I've heard good things about Parkhaus as well, but they charge $600 just for a leak down test. Love my cab. Its a classic. Reaffirmed this yesterday on the first sunny 70+ day this year. my drivers side transmission arm broke the day I brought it home. I just disconnected the transmissions and took them out and lift it manually and lock it electronically with the switch. I leave it up in the winter months and down most summer days only to raise it and let the warmth get the creases out every couple weeks.